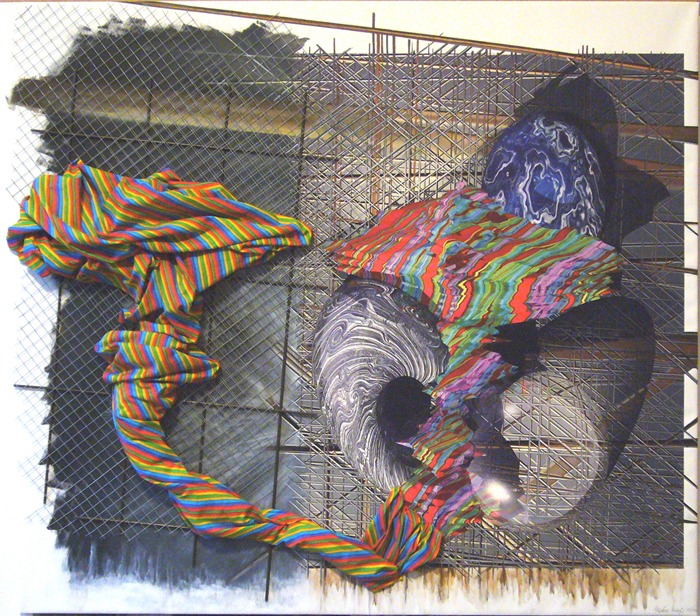 Beschreibung: Assemblage with mixed media: 3D art print, acrylic painting, board, wire, cloth. A reflection on dimensions and materials between virtual reality and reality. Key words: image versus object, mirror, light and shadow, colour and structure, construction, grid, rust, synapse, interface, junction, missing link, Michelangelo´s "creation of adam".